Kava for Anxiety and Insomnia: Effective? Safe? Kava (Piper methysticum) holds promise as an alternative treatment for anxiety and insomnia. But I’ve refrained from blogging about kava and kava supplements due to concerns about liver toxicity. Now a comprehensive review funded by the National Science Foundation and published in the journal Fitoterapia has eased those concerns. I can write about kava, native to Hawaii and other Pacific islands, as I would any other medicinal plant, summarizing benefits and risks. Pacific islanders continue drinking kava today. Traditionally it’s mixed with water, strained by hand, and served on social occasions, often in coconut shells. Kava drinkers may consume several coconut shells of the beverage on one occasion. Pacific islanders used different parts of the kava plant to treat various ailments, suggesting to Europeans who arrived in the 18th century that kava might have important medicinal uses. First the Europeans used it to treat venereal disease. By the 1880s, it was being used to relieve stress and anxiety. British herbalists have used it since the early 1900s to treat disorders of the urinary tract. Kava in the 1990s became a popular herbal remedy for anxiety—an alternative treatment to benzodiazepine drugs such as Valium and Xanax. Consumed as a tablet or a tincture, kava supplements contain specific concentrations of kavalactones, which are extracted from the kava plant with alcohol, acetone, or water. Kavalactones are believed to be the main active ingredients in kava. Studies of kava’s effects on animals show that it acts on many of the same neurotransmitter systems as anti-anxiety drugs. It results in GABA channel modulation and downregulates or inhibits systems that are active during arousal. In humans, quite a few studies have shown that kava is significantly more effective than placebo at lowering anxiety. 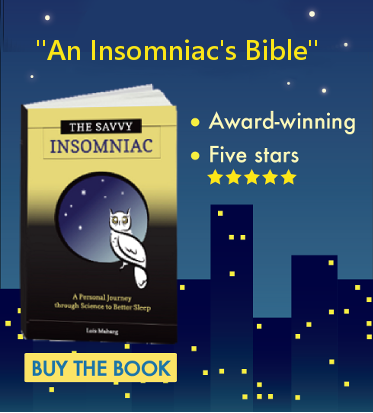 So far, though, only one randomized controlled trial has been conducted to investigate kava’s effects on sleep. In this 4-week study of people with sleep disturbances associated with anxiety, the authors compared 34 participants taking a kava extract with 27 participants taking placebo. By the end of the study, the kava group experienced a significant improvement in the quality of their sleep—but so did the group taking a placebo, although to a lesser extent. 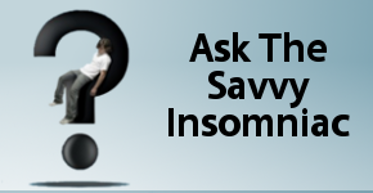 So would taking a kava supplement improve the sleep of insomnia sufferers? No one knows, and no one will know unless more and better controlled studies are done. What the existing data do suggest is that kava might be helpful for people whose insomnia is closely associated with anxiety. Kava sales in the West fell off sharply at the turn of the 21st century. No Pacific islander was ever known to suffer liver failure related to kava, but between 1999 and 2002, 10 kava users in Europe and the United States had to undergo liver transplants. The need for the transplants was attributed to patients’ having consumed moderate doses of kava for anywhere from 2 to 12 months. Subsequently the CDC issued advisories in the United States. Germany banned kava in 2002. On further examination, though, investigators found that kava could be implicated as a causal agent in only 3 liver failure cases. Germany overturned its ban on kava in 2014. Sales of kava products in the West are expected to rise again. How Likely Is Liver Failure? the use of inappropriate kava cultivars. So the risk is pretty slim. Have you tried kava for sleep or anxiety? How did you fare? From what I’ve read, Kava is mainly dangerous in that it causes delayed reaction time for up to a few days after consumption. So a big no-no if you drive. If you take this abstract to your local public library, they’ll probably be able to get the full article for you, if you care to read it.